Have you ever heard of Tomtatoes? It is tomato plant, Solanum lycopersicum (Figure 1), graft on a potato plant, Solanum tuberosum. This gives a plant that bear edible roots (tubers to be more precise) and fruits. Why not them start using all the rest and make a salad with the leaves? Some of you may have already spotted the bad idea in this last sentence, for the other, know that the tomato plant, just like tobacco (Nicotiana tabacum), the pepper (Capsicum annuum), the datura (Datura stramonium), the deadly nighshade (Atropa belladona)... are part of the Solanaceae family and produce toxics alkaloids. Generally, potatoes contains a negligible amount of solanine (and others toxic glycoalkaloids) [Edit: /u/thalassa made me notice that tomato leaves don't containt solanine but tomatine, a non toxic analog.] , but can sometime produce more when they are in bad storage condition. There are known potatoe poisoning case, but they are very uncommon. Basically, you must not eat the tuber when they are green. This post is not directly related to botanical identification, but I wanted to give you examples of some preconception that we may have on the security of plants. I will be using the toxicity of some of them considered edible. In the case of common foodstuff, the toxic effect often appears after over-consumption, a nutritional imbalance, or a predisposed condition. Our first case is carambolas, Averrhoa carambola (Figure 2). 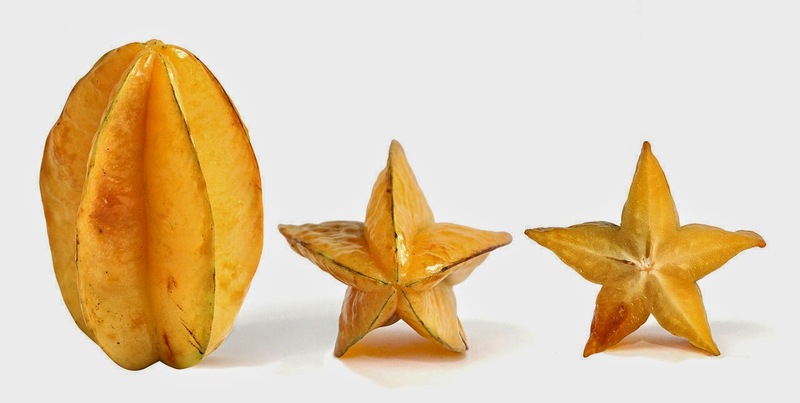 The star fruit is known to be toxic to people with kidneys troubles since the 80's. Scientist have long though that the toxic compound was oxalic acid. It is only in 2013 that the real culprit was identified: caramboxin. This compound cause hiccups, neurologic and gastric problems, and confusion. People with renal problems are particularly sensitive because the kidney can't filter the product, but there have been reported cases of intoxication in healthy peoples after large consumption of the fruit. In these case, oxalic acid also had a toxic effect since it is dangerous in large quantity. Since we are on the subject of oxalic acid, I would like to point out that rhubarb, Rheum rhabarbarum, also contains a lot of this compound. Let's continue with a case a little bit more known: nutmeg (Myristica fragrans). This spice contains myristicin and elemicin who are both considered to be psychotropic. While it has never been proven, we suppose that the two are turn by the body into MMDA and TMA, two close derivative of MDMA (also know as Ecstasy). Due to their hallucinogenic properties, nutmeg intoxication are usually voluntary but there are known involuntary case. Involuntary case are pretty rare since they require a large quantity: 5 to 10 g, which correspond to a complete nut. Finally, lets talk about Christopher McCandless, the late protagoniste of the movie Into the Wild. Christopher was a young american who, at the age of 24, decided to live the complete summer of 1992 in the Alaska wilderness to live by himself off the land. He was found dead 4 months later. 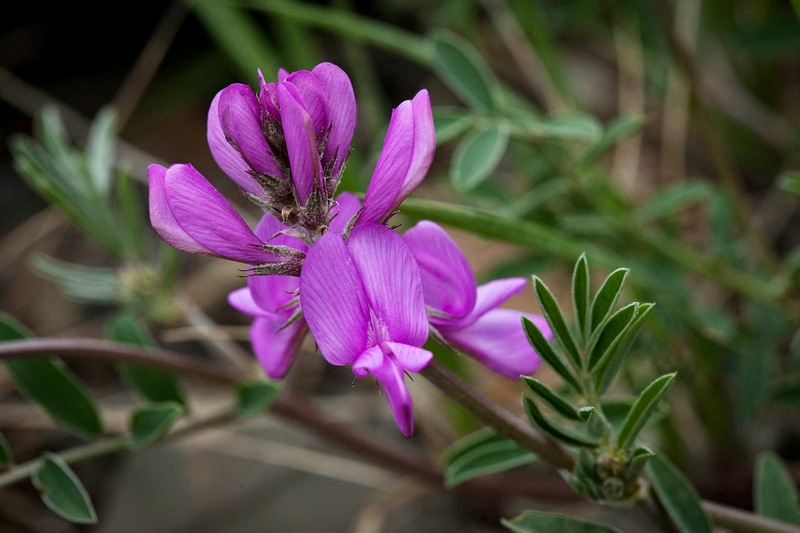 It was believe for a long time that the cause of his death was a confusion between two wild plants that he was using for food: Hedysarum alpinum (edible, figure 3) and Hedysarum boreale spp. mackenziei (toxic, figure 4). However, a more complete analysis of the case tend to demonstrate that he died of lathyrism. The seed of H. alpinum contains oxalyldiaminopropionic acid (ODAP). This amino acid is generally non-toxic, but when consumed in large quantity and the body is stressed, undernourished or starving, it create a degeneration of motors neurons and paralysis. This would have effectively stopped Christopher from being able to forage, eventually starving him to death. The presence of this compound in the seed of H. alpinum was confirmed in 2014. Christopher had no way of knowing the toxicity of the plant. In most case, the toxic compounds are unknown or only suspected. In others, uncommon interactions cause dangerous effects. Sometimes, a compounds that we think to be the cause of a biological activity is in fact hiding another (we call this internally the "Vakhtang effect"). 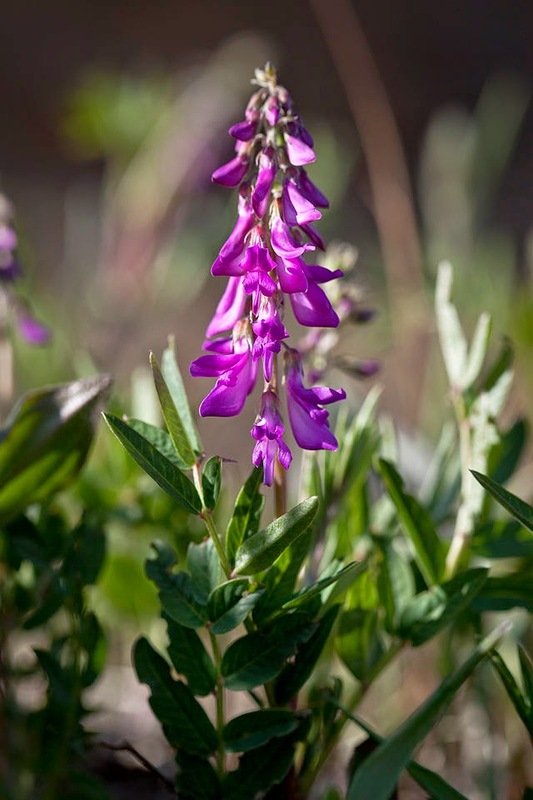 All these situation demonstrate that the toxicity of plants is often not well understood. For most case the only security that we have is still the same that our ancestors had: if you didn't die when you ate it that mean that I can eat it.